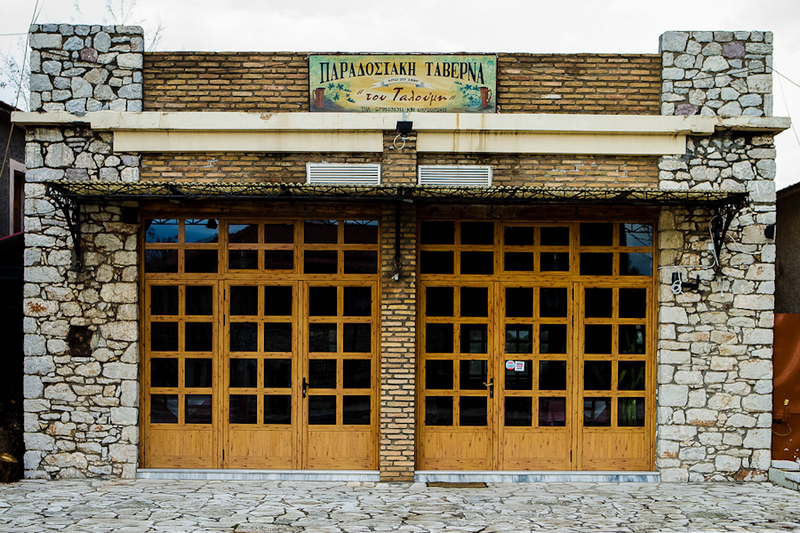 In the stone built village of Elliniko, on the central square with its beautiful paving and the memorial to Kolokotronis, you will find Taloumi’s taverna, a friendly and comfortable space where stone and wood predominate, and with a genuinely warm Arcadian atmosphere. Going back to 1937, the taverna has a great history and provides a point of reference for the whole of Arcadia and its taverns, and has welcomed notable visitors and famous celebrities, as you can see from the many photographs that decorate its walls. Continuing in the long tradition of the taverna, the owners will offer you unique culinary delights and tasty dishes from the Arcadian cuisine. To begin with, the visitor may sample delicious appetisers such as zucchini balls, local sausage, sheep’s offal with oregano or cheese and ham straws. To follow, along with a luscious salad or cooked wild greens you may choose to eat local cockerel with homemade pasta, lamb in an oregano and lemon sauce, rabbit in tomato sauce, exceptional game such as venison or spiced pork with walnuts. For gourmands who enjoy traditional food there is a large variety at the taverna’s grill including exceptional lamb cutlets, lamb on the spit, “youlbasi” (roast meat), tenderloin of pork, and veal. Choose the room where you would like to take a virtual tour and navigate using your keyboard, mouse or touchscreen!